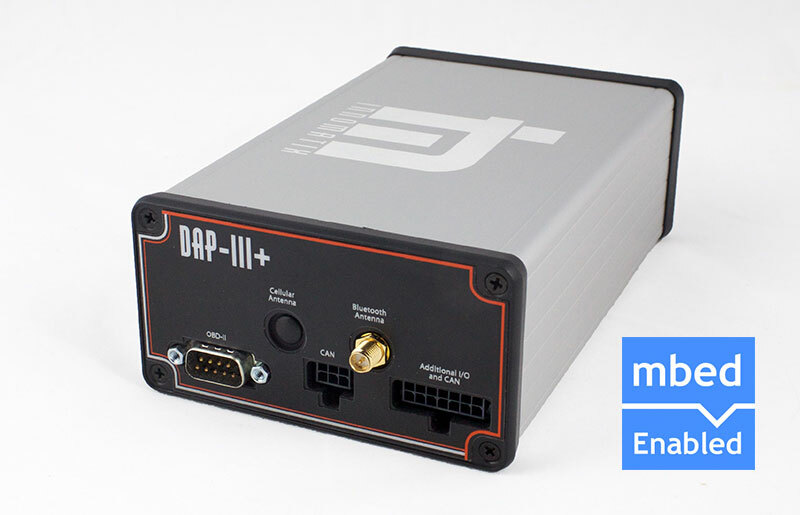 Harness the data collection power of the DAP-III to develop and validate your own algorithms. This feature is for users that are familiar with programming in C and want to do some custom or proprietary calculations on their own. Available on the DAP-III, use our libraries and the web-based environment to develop and compile your own code, then remotely upload it onto the DAP. Your code works either alone or in conjunction with the standard data collection capabilities of the DAP-III, via the included APIs that allow you access to the data values being logged by the system. If desired, you can also use the coprocessor to directly access the CAN networks. If what you are truly interested in is not just the data parameters themselves, but algorithm development, this feature allows you to calculate values before the data even gets to your analysis tools. You can return your calculated parameters like any other parameter on the CAN bus, to the local display and to our servers for download with your data. This feature provides you with an extra level of control over the data returned by your DAP. Our libraries and a short example help you get started. The libraries and tools for using the programmable coprocessor are all online, which means there is no installation required.